House Republicans are still finalizing their formal blueprint for government spending over the next ten years. But, on Fox News Sunday, Budget Committee Chairman Paul Ryan confirmed what several media outlets reported last week: The Republicans will propose to transform Medicare from a government-run program into what most people would call a voucher system. They will also propose to convert Medicaid from an entitlement to a block grant. These would be huge, controversial changes. And while Ryan says his party is actually trying to “save Medicare [and] save Medicaid,” I know of at least one person who would be skeptical: Lyndon Johnson. Read those quotes carefully, because they spell out the covenant that Johnson made with the American people on that day: A promise that the elderly and (certain groups) of the poor would get comprehensive medical insurance, no matter what. Will the new Republican plan faithful to that covenant? We haven’t seen the details, obviously, so it's impossible to know. But Ryan told Fox News that the proposal for Medicare will be very similar to the one he crafted with Alice Rivlin, former director of the Congressional Budget Office and then the Office of Management and Budget. Ryan insists the new Republican plan is not a voucher scheme per se, because of how the money would get from the government to the insurers. He also says private insurers are more efficient than government programs. Those are debatable propositions, but put those issues aside. Under the Ryan-Rivlin plan, Medicare would be changed from the defined-benefit plan it has been since its inception to a defined contribution plan. Under the defined-benefit plan, the government promised to procure specified medical goods and services for Medicare beneficiaries, as medical necessities assessed by the beneficiary’s physician. That puts the risk of escalating costs for that health care mainly onto the shoulders of taxpayers, although Medicare beneficiaries share in these costs through premiums for Part B of Medicare (chiefly physician services) and co-payments at the time of service. Under the defined contribution approach envisaged by the Rivlin-Ryan plan, most of the risk of future health-care cost increases would be shifted onto the shoulders of Medicare beneficiaries. This feature makes the proposal radical. The situation with Medicaid is a bit different, because it is a federal-state partnership. Washington provides most of the money and sets most of the rules, while states actually manage the program. But Medicaid, too, is based on a promise: The promise that anybody who qualifies for the program because of low income will get a comprehensive insurance policy. If Ryan has his way, would the government keep this promise? Again, there's no way to be sure right now. But, on Fox, Ryan confirmed that he and his fellow Republicans would propose to change Medicaid from an entitlement to a block grant--which, as I noted on Friday, means giving the states a lump sum of money, with much more freedom to spend the money as they choose. If a state decided to offer less than comprehensive coverage or to limit enrollment below federal guidelines, it would presumably have the power to do it. Ryan says drastic changes are necessary because, if current trends continue, the financial burden of Medicare and Medicaid will exceed our willingness to bear it. He’s almost surely right about the financial burden. Allowed to grow at present rates, without reform, the cost of Medicare and Medicaid will require us to devote more and more tax dollars and, indirectly, more and more private health care dollars--well beyond the point most Americans would consider reasonable. But there are other, more balanced ways to make Medicare and Medicaid more affordable--ways that incorporate the more redeeming features of Ryan-Rivlin, perhaps, but only alongside reforms that attack the root causes of higher medical spending while preserving the fundamental promise LBJ made in 1965. There are even ways to do it with a voucher program, although it wouldn't be my first (or second) choice. But is that what the Republicans intend--to keep America's promise to seniors and to the poor? 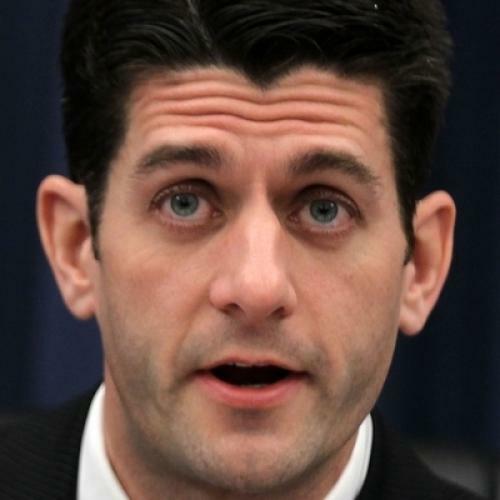 Based on Ryan's latest statements, it seems unlikely. Update: I made some minor edits for clarity.